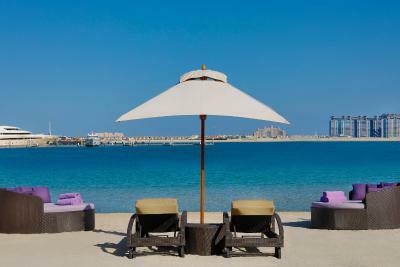 Lock in a great price for Le Meridien Mina Seyahi Beach Resort & Marina – rated 8.7 by recent guests! The staff was fantastic and the restaurants were all delicious. The room was very comfortable and spacious. The layout of the facilities was excellent, with a selection of pools, some of which were heated. 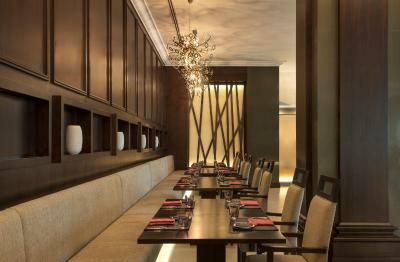 It’s part of a big resort shared with the prestigious Westin hotel. Nice beach and location. I would like to mention Molly, the girl from reception not only offer a better solution in my case but didn’t let me stress even for a second. That was really professional and impressed me, especially that I work with clients as well. I could notice she handled the situation perfectly. This hotel is right on the sand. The location is excellent. The grounds are beautifully kept. The only drawback was the noise from the club over the weekends. Also,some construction noise while I was there. Otherwise, I highly recommend it. Craig at reservation was extremely helpful in finding solutions to the noise issue. Thank you! 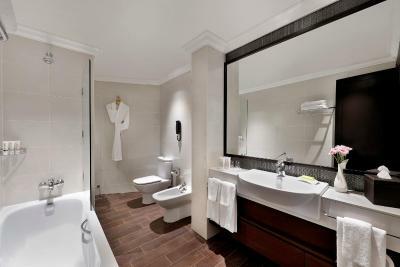 It was great to be able to use the facilities at the next door Westin Hotel. This meant access to a variety of pools and facilities and a larger beach area. We've been here for the second time, and the hotel totally met our expectations. Clean swimming pools, good restaurants on site. The beach is cleaned every day and the service on the beach is exceptional (however, it's primarily good for families with children, as it's shallow and it takes time before you reach the depth). If you have children, kids club can be your savior sometimes :-) What's even better is that they have a program for your children, so they are not left for themselves. 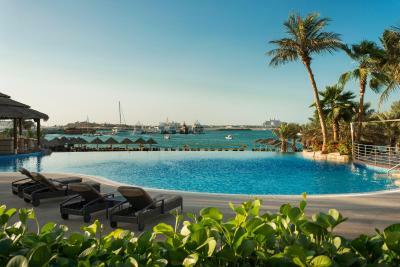 Le Meridien Mina Seyahi Beach Resort & Marina This rating is a reflection of how the property compares to the industry standard when it comes to price, facilities and services available. It's based on a self-evaluation by the property. Use this rating to help choose your stay! 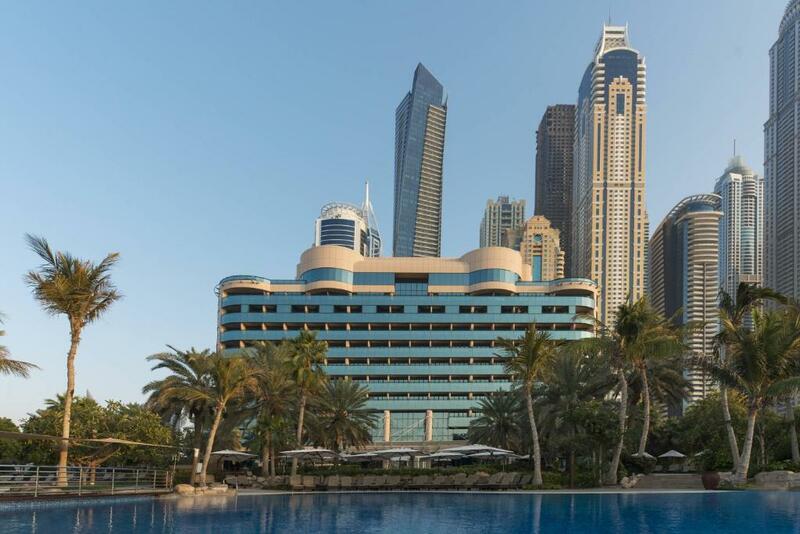 One of our top picks in Dubai.Boasting a 3,600 feet sandy beach, Le Meridien Mina Seyahi is located in Jumeirah. This 5-star luxury resort has several swimming pools located amid lush gardens and 5 dining and entertainment venues. 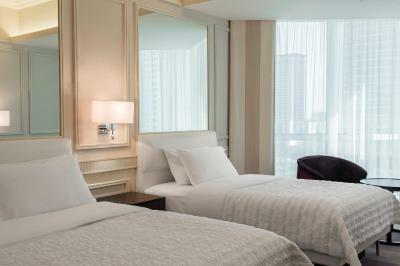 Featuring a classic chic décor, Le Meridien rooms are air-conditioned. 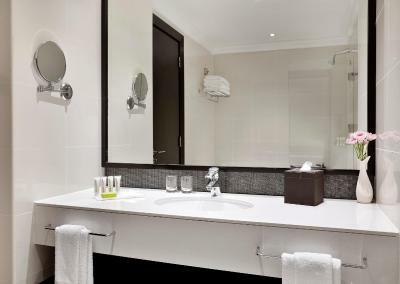 Each room offers free WiFi, a Flat-screen TV and a safety deposit box. 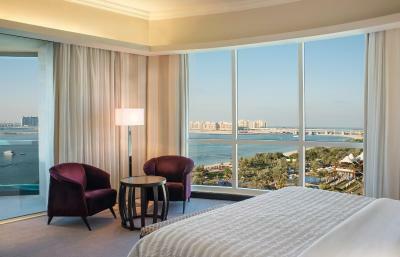 They all offer panoramic views of the Arabian Gulf or Dubai's skyline. Leisure facilities at the Mina Seyahi include a water sports center and Club Mina fitness center. Younger guests can enjoy Le Meridien Family Kids Club which offers activities programs, beach games as well as 2 separate kids’ pools. 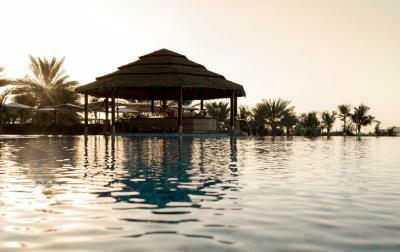 Le Meridien Mina Seyahi Beach Resort is a 10-minute drive from Emirates Golf Course. 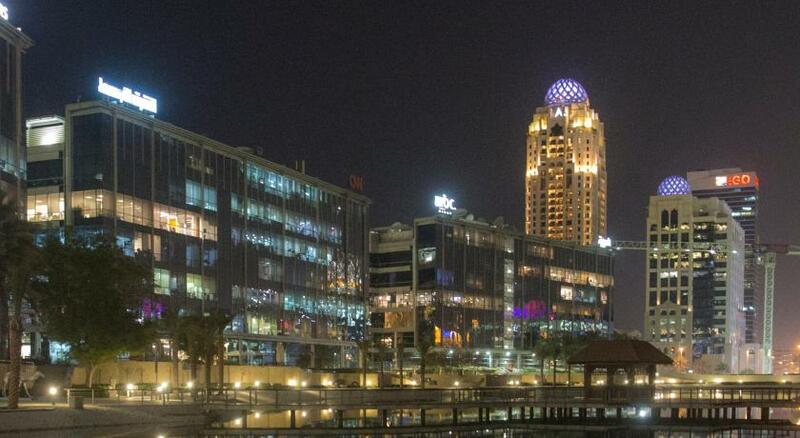 Mall of The Emirates is 5 mi from the resort and Dubai International Airport is 19 mi away. 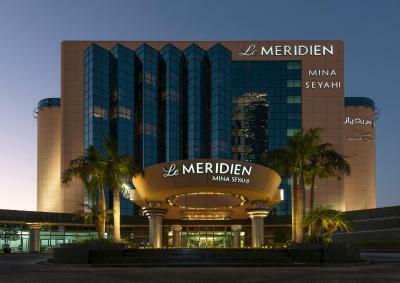 When would you like to stay at Le Meridien Mina Seyahi Beach Resort & Marina? 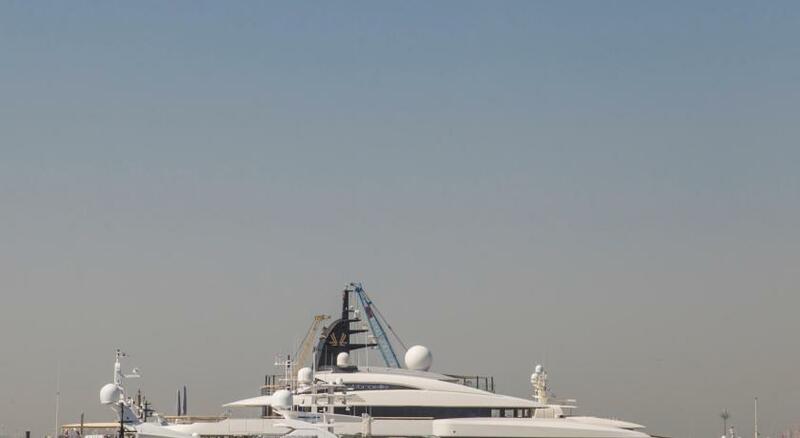 This double room has air conditioning and modern settings with views over the Marina skyline. 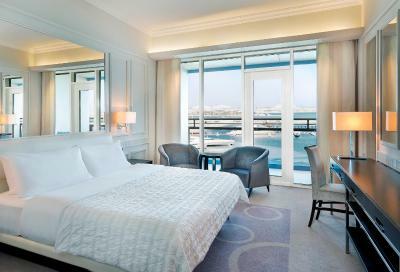 This double room features air conditioning and modern settings with views over the Marina skyline. This double room has air conditioning. All guests staying in Club Lounge access which offers 1 complimentary airport transfer within city limits, a separate check-in lounge, welcome drink on arrival, tea/coffee, and a daily cocktail hour in the Le Méridien Club Lounge, and VIP amenities. This double room features air conditioning. All guests staying in Club Lounge access which offers 1 complimentary airport transfer within city limits, a separate check-in lounge, welcome drink on arrival, tea/coffee, and a daily cocktail hour in the Le Méridien Club Lounge, and VIP amenities. This double room has air conditioning. 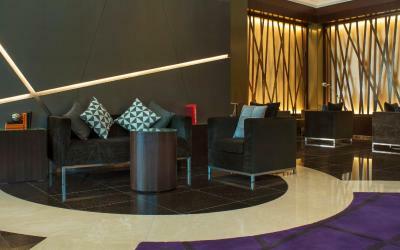 All guests staying in Club rooms will enjoy complimentary airport transfers, a separate check-in lounge, welcome drink on arrival, tea/coffee, and a daily cocktail hour in the Le Méridien Club Lounge, and VIP amenities. 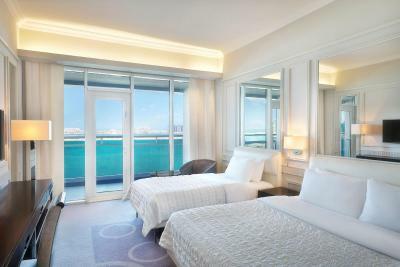 This double room features air conditioning and modern settings with exceptional views over the Palm Jumeirah Island. 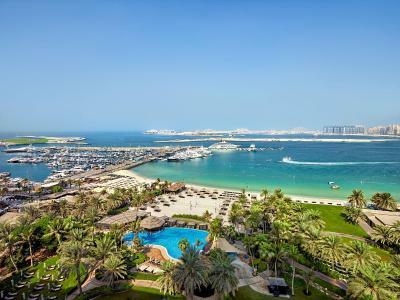 This double room has air conditioning and modern settings with exceptional views over the Palm Jumeirah Island. This double room features air conditioning. 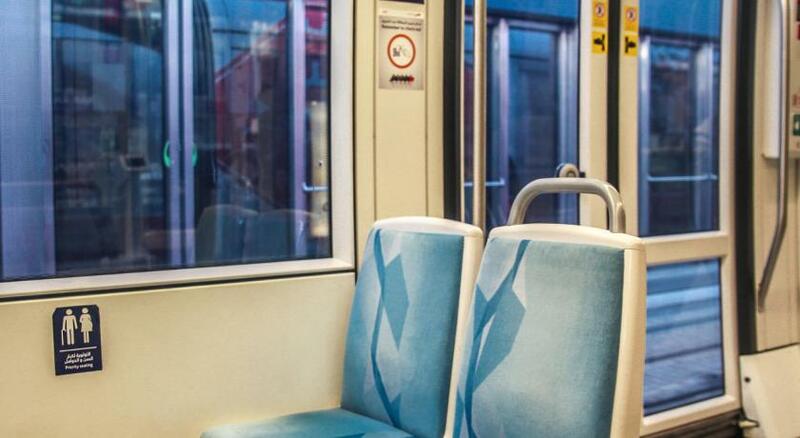 Featuring a separate living room and Club Lounge access which offers 1 complimentary airport transfer within city limits, a separate check-in lounge, welcome drink & VIP amenities. This double room features air conditioning. Featuring a separate living room, kitchen and panoramic terrace. This room offers club Lounge access which offers 1 complimentary transfer within city limits, a separate check-in lounge, a welcome drink & VIP amenities. 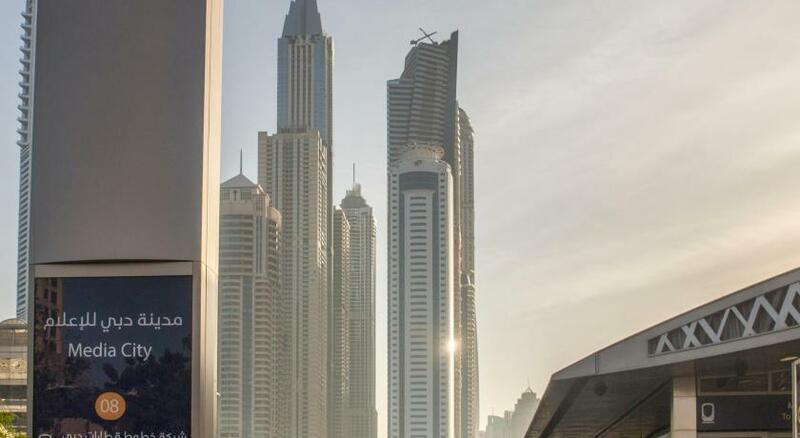 Overlooking the crashing cerulean waves of the Arabian Sea, Le Méridien Mina Seyahi Beach Resort & Marina is a jewel set in the modern, vibrant, and cosmopolitan city of Dubai. 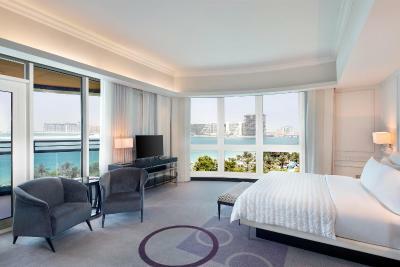 Wake up to the magnificient panoramic views of Palm Jumeirah & the sea. House Rules Le Meridien Mina Seyahi Beach Resort & Marina takes special requests – add in the next step! Le Meridien Mina Seyahi Beach Resort &amp; Marina accepts these cards and reserves the right to temporarily hold an amount prior to arrival. Le Meridien Mina Seyahi Beach Resort & Marina accepts these cards and reserves the right to temporarily hold an amount prior to arrival. Please note that all guests staying at the property including children must present their passports upon check-in. Half Board rate includes Daily Buffet Breakfast in Latest Recipe and Buffet Dinner (food only) in Blue Orange Restaurant, while on the 31st of December 2018 guests can enjoy New Year Gala Dinner including unlimited beverages and overlooking the Arabian Gulf with breathtaking views of the famous Jumeirah fireworks. Actually the location is a huge building site, not so much beautiful ? The area with a beautiful garden, a lot of bars and restaurants. Far from everything. Construction noise around. Beaches not nice due to construction ahead. 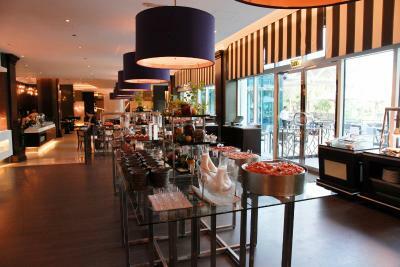 Comfortable hotel with lots of different food options (stands together with the Westin). Nice pools. Very friendly staff. Large rooms. the hotel charged extra for a sea view room with balcony. the end of the hotel we were at was 30 metres from the construction site directly next to the hotel which is working constantly 24 hours a day. the noise of the banging and lorries reversing warning noise became a ringing in your ears. with doors shut it could still be heard. even without construction the balcony was pointless as was so small that 2 chairs had to be touching for the door to be opened. one morning they were planting new palm trees on the beach and finished driving the tractor up and down somewhere between 9 and 10 am, the tractor ruts were left by the workers and then a few hours later the hids club were walked along the beach with rakes and told they were on a treasure hunt whilst filling the tractor ruts in, the only treasure seemed to be a cigarette stub. Shame about the construction work on the beach and the new hotel they are building. Barasti bar is very loud and goes on till 3am in the morning on Thursday Friday nights making it a little hard to sleep. I was kept awake all night on my first and only night by the construction going on 24hours/day outside my hotel room.